The off-season was long: for 202 days, fans, drivers, teams and manufacturers impatiently waited for the wild ride to be continued. This weekend (04 to 06th May) the waiting is finally over and the 2018 DTM season will be kicked off. 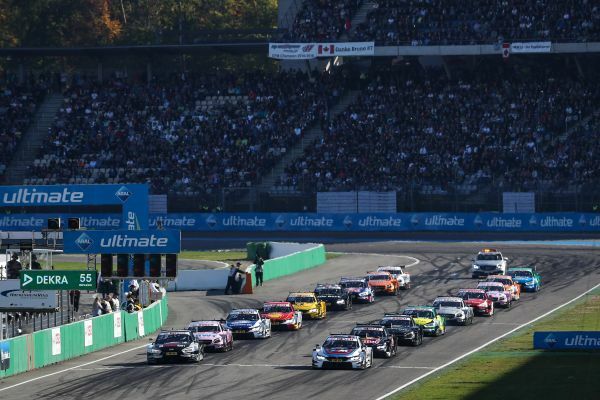 The Hockenheimring Baden-Württemberg will stage the first two races of the season and Audi, who won all the three titles last year, definitely will be the hunted in each of the three rankings. 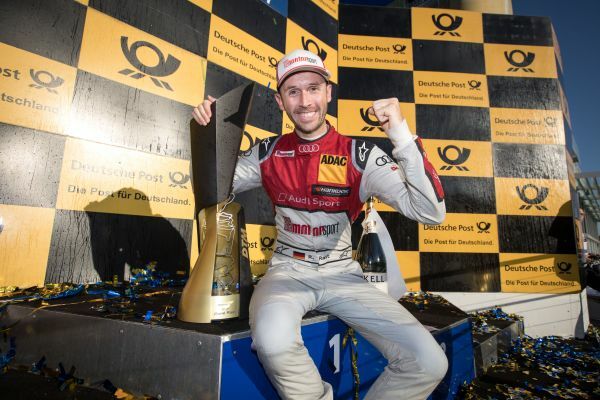 “I’m convinced that the racing will be even closer than it used to be,” revealed DTM Campion René Rast. “And I’m eager to find out if we drew the correct conclusion from what we learned in the tests. At Hockenheim we will see where we are standing compared to our competition.” Audi, BMW and Mercedes-AMG have to contest the new season with altered aerodynamics, less downforce and limited suspension-setup options. Meanwhile, Mattias Ekström may look forward to a very special experience, at Hockenheim: The Swede who announced his retirement from DTM in the off-season was offered the opportunity to say farewell to the fans in a final race weekend. He races a seventh Audi RS 5 DTM but takes part as unofficial competitor. A total of 10 Audi Sport and Abt Sportsline mechanics will be involved to make the Ekström appearance possible. “It’s no secret that I wasn’t involved in the pre-season tests,” said Ekström. “Nonetheless, I set myself the goal to be one of the front runners. After all, I tested in DTM for many, many years. Should the off-season prove to have been too long and should I run out of talent I will have to accept this. Marco Wittmann – who won the final race of the 2017 DTM season – and his fellow BMW driver Timo Glock will both contest their 75th DTM race, this Saturday at Hockenheim. “Leaving the season on a high, with another race win under my belt, was just great. And it goes without saying that winning a race in the season kick-off would taste just as sweet,” said Wittmann. With a total of 34 wins, Mercedes is the most successful brand at Hockenheim. With Gary Paffett (four wins Siege), Paul Di Resta, Edoardo Mortara (two wins each) and Lucas Auer (one), four of the current Mercedes-AMG drivers have got at least one Hockenheim victory in their record books. “Hockenheim is one amazing racetrack that offers great overtaking opportunities. With the new aero package we have to brake earlier and so, you can enter the corners earlier to pass your rival,” said Lucas Auer who won the Saturday race of the 2017 season kick-off at Hockenheim. The time schedule of the race weekend is extremely tight. On the track, ADAC Formula 4, the Audi Sport R8 LMS Cup and the ‘DRM Klassik-Pokal’ provide thrilling motor racing. Aloof from the track, a number of prominent guests give the season kick-off that special touch of glamour. After their concert during the 2017 season finale, the German hip hop combo ‘Die Fantastischen Vier’ just can’t get enough of DTM. On Saturday evening, Smudo, Thomas D, Michi Beck and And.Ypsilon once again play live in the DTM support programme and will entertain the crowds – inter alia – with tunes of their new album, ‘Captain Fantastic’. An aircraft captain also will be on site: Matthias Dolderer, the 2016 World Air Acrobatics Champion, also will attend the DTM race meeting. And on Saturday, the six finalists of the ProSieben (German TV station) casting show ‘Germany’s Next Topmodel’ will represent a true feast for the eyes. Among other things, Heidi Klum’s ‘Mädchen’ can be seen from 10:15hrs CEST (09:15hrs BST) during an interview session on the DTM show stage in the paddock. The DTM enthusiasts can witness the DTM action live and at close range on the Fridays of the race meeting for just €10 and weekend tickets are available from €30. Particularly attractive is the discounted family ticket for two adults and two children not elder than 14 years. You can order your tickets at www.dtm.com/tickets.